Here it is, one of the best documentaries ever made on a photographer. Richard Avedon was one of the great geniuses of 20th century photography, famous for his fashion photography done for the likes of Vogue, Versace, and Armani, and equally famous for his black and white portraits of American people, both famous and unknown. 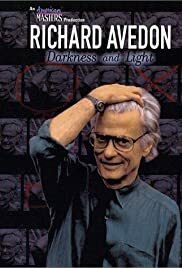 This movie features ample footage of Avedon, a great storyteller and conversationalist, describing his life and methods. Many guests tell interesting stories of the joys and tribulations of working with him. It is difficult not to be impressed by Avedon's endless photographic inventiveness and personal charm. For a great view of the creative process, and on the struggle to make a living while making art, then check this out.